Montreal, Labour weekend, 1972. The Canadians and Soviets face each other in the ice hockey summit series. A nightclub is set on fire killing thirty seven people. The Museum of Fine Arts is robbed. And a US Army deserter, David Murray, is found dead. Constable Eddie Dougherty, a beat cop who dreams of becoming a homicide detective, finds himself the first responder on each case. While the nightclub murders are easily solved, and the museum robbery seems to have mafia connections, the death of Murray is more of a mystery. Eager to impress Detective Carpentier of Homicide, when he’s not working his shift Dougherty freelances on the case trying to identify the killer. However, since Murray was an illegal immigrant and he was active in anti-establishment networks few of his associates are willing to cooperate with the police. Nonetheless, Dougherty keeps plugging away hopeful of solving the case. 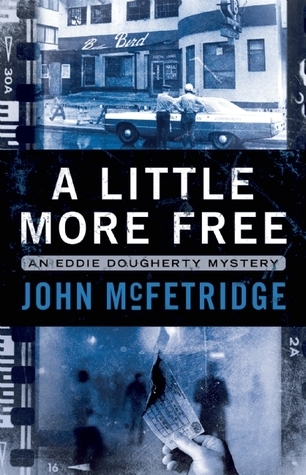 A Little More Free is the second outing for Constable Eddie Dougherty, an anglophone cop working in the largely francophone city of Montreal. The story has two real strengths. The first is Dougherty who is a fairly ordinary cop from a working class background who’s likeable and dogged. The second is the historical contextualisation and sense of place – McFetridge places the reader in the city during the famous Canadian-Soviet ice hockey series and the tail end of the Vietnam war. While the tale has three central cases - the mass murder of thirty seven people, a major heist, and the murder of an army deserter – the telling is somewhat low-key, focusing on the mundane, everyday grinding out of an investigation. The result is an engaging story that spits and sizzles rather than boils and explodes. It’s an interesting tactic, but one that works well, imbuing the tale with a sense of realism and drawing the reader into Dougherty’s world. 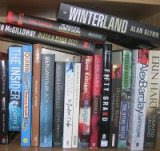 I’ll certainly be reading the next in the series, One or the Other. Good review, as usual. I love this series, and am looking forward to the third.